The FCC’s newly proposed privacy protection rules requires broadband and wireless providers to obtain consumer consent before collecting and sharing their data, but some are concerned this approach is detrimental to innovation. Also in recent GRC news: The U.S. Department of Justice announced a program to incentivize self-disclosure of foreign bribery violations, and the U.S. Securities and Exchange Commission called for hundreds more employees. Late last month, the Federal Communications Commission (FCC) proposed a new set of privacy regulations outlining how Internet service providers (ISPs) collect, use and share consumer data. With these rules, the FCC will take over the majority of the consumer protection enforcement formerly the domain of the Federal Trade Commission — a change that is part of the new net neutrality rules passed last year that reclassified ISPs as common carriers. Under the rules that specifically target broadband companies, in the majority of situations consumers would need to “opt in,” or give consent to, a cable company seeking to sell their data to third parties. The proposed rules would also require wireless and broadband companies to communicate with consumers about how that data is being collected, used and shared. But according to a Wall Street Journal opinion column, this approach will be detrimental to innovation because it restricts almost all uses of consumer preferences instead of punishing particular cases of unfair practices. Furthermore, the new rules exclude Google and Amazon, two companies whose business models profit greatly from data collection, according to the WSJ. These tech giants were deemed “edge providers” that are too big to regulate. Instead, they will continue to be monitored by the FTC. 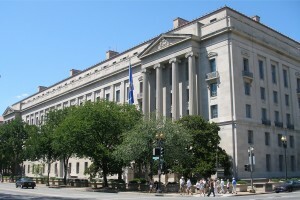 The U.S. Justice Department rolled out a one-year pilot program that provides companies who self-disclose foreign corruption violations a discount of up to 50% on the associated sanctions. Assistant Attorney General Leslie Caldwell said that the program aims to encourage companies to self-report Foreign Corrupt Practices Act (FCPA) violations and build up the DOJ’s ability to deliver enforcement actions against individual offenders. Reductions in sanctions will also be offered to companies who report all known facts and remediate “bad actions” that are outlined by the program. While the program has garnered praise from experts in the space, they told WSJ that it’s also being viewed cautiously by companies. Companies are reluctant to participate in the pilot program because it does not set a minimum discount, and the amount of the reduction is totally under the discretion of the DOJ. The program also does not lay out what levels of lenient treatment from the DOJ correspond with specific types of cooperation. This lack of guidance could offset any incentives to report of FCPA violations, said Eric Bruce of the Kobre & Kim law firm. “The steps articulated by DOJ in order to receive ‘full cooperation credit’ are still fairly subjective and subject to varying interpretations,” he told WSJ. Mary Jo White, chair of the U.S. Securities and Exchange Commission, said the regulatory agency needs additional funding to hire 250 additional staffers to strengthen its oversight of today’s marketplaces and better protect investors. White said the additional staffers would also boost the SEC’s IT infrastructure and improve the cybersecurity and risk analyses of areas such as exchange-traded funds. “Additional funding is imperative if we are to continue the agency’s progress in fulfilling its responsibilities over our increasingly fast, complex, and growing markets,” White said during a budget hearing before the Financial Security Oversight Committee at the Treasury Department on April 12. Finally, a real step in the right direction, as far as getting some protections for the data privacy of consumers!!! Good job United States Government! A lot of us in the know have been wondering when you were going to do... well.... anything really about this massive problem. A problem by the way which every American Consumer is facing as far as their digital privacy, but almost no American Consumer is aware of the fact they have a digital data privacy problem. What is that problem? Well, the fact that the personal data of every American Consumer is under constant attack by data brokers, data collectors, and data retail sellers, and suffering those attacks every time they use their smart phone, computers, get on-line, watch cable on their smart TV, drive their smart car, and/or touch or use any other piece of digital, electronic, or machine powered device with the word "smart" in it! You know what the "smart" means? It means that machine is smart enough to record (Probably in ways you are completely unaware of.) your every interaction with that machine, and send that personal information and recordings about you to the company who built it, who in turn turns around and sells that information to the highest bidders for inclusion in a CIB (Commodity Information Bundle) to be sold once again. Remember they used to say "knowledge is power," well now "Knowledge is money!" Real big money! The only problem is the people who are getting mega-rich on all this information, are not paying the people whose information it is. Moreover, those people who are getting rich selling consumer data are devising ever increasingly sneaky and intrusive technologies to harvest this precious high valued data and personal information! Therefore, the American Consumer is in a constant state of ever shrinking level of personal privacy, all the while getting ripped off and shafted out of royalties or licensing payments by companies who are getting ever richer! It is an unbelievably unjust state of affairs, where the American is suffering a loss or detriment and someone else is getting paid all the consideration for the detriment of the American Consumer. The only people who can do something, the government, has up until this point done much more than write some fascinating reports telling people there could be a problem and a handful of FTC lawsuits against major bad actors in the data broker industry. This action by the FCC is the first major push in the right direction in the defense of consumer protections!!! So, Wall Street has some gripes about the stifling of innovation. Well, let me say this... First, if people on Wall Street say something is bad, then it is most likely GOOD for the rest of the country! Secondly, Wall Street financial types are actually NOT real businessmen in the traditional sense. They actually know nothing of running a real business, innovation, or the usual things that a business does to operate and stay in business. They're knowledge is reserved to pumping and dumping stocks, playing with numbers completely devoid of any meaning associated with real business operation, and numbers so large they're egos tell them "We must be super important, because look how rich we are!" However, they have created NOTHING. They have built NOTHING, and if you ask me with all their gobbaldy-gook jargon and fancy algorithms they know all of NOTHING! That is accept how to ruin the country, rob us all blind, and not only not go to jail for it, but get billion dollar bailout bonuses from Congress! People still remember.... Lol. Any way, not supposed to be a tirade against Wall Street insiders, and my only point is that if some Wall Street insiders are saying it's bad for America or business... Don't lose any sleep over it, because chances are it's actually good for every one else in the country except the Wall Street insider saying it's a bad thing. Who am I to know such things you ask? My name is Joel Drotts, and I am the Operations Director for San Francisco's newest and sharpest now profit corporation The Association for Consumer Effectiveness, and Data Brokers and protecting and informing American Consumers about information privacy issues is literally our primary job. Therefore, in order to inform, it is my duty to be ultra-informed on as many aspects of this topic as possible! You can check us out at http://www.oneacedata.com. Drop a line, and tell me I'm a wind bag. It's all good with me and the Association, as long as I am perpetuating talks about this subject for and with Americans... I'm doing my job, the best way I know how! Word!